WIN IT! So… You wanna go to Paris? It quickly became apparent from an impromptu straw poll on Twitter that you guys wanted a competition that required a little more effort than a couple of clicks with your mouse and I agree. So, without further ado… read on to find out what you have to do for a chance at winning this fantastic prize! 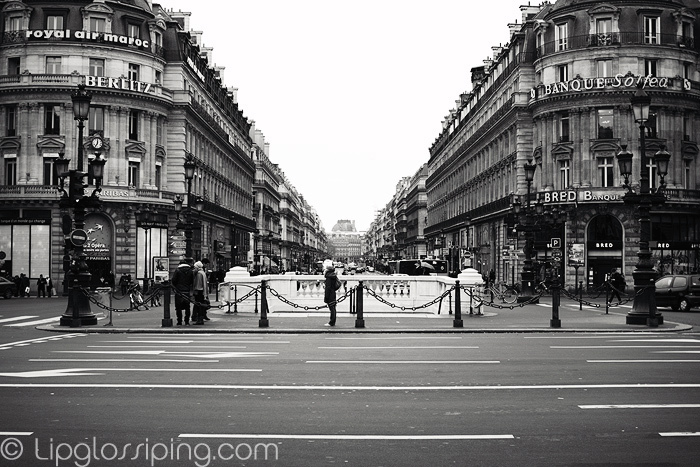 I want you to create an artistic representation of Paris. The catch? You have to use the medium of BEAUTY to create your masterpiece. Now, this doesn’t mean that you have to do a makeup look or paint your face (although you absolutely can). You could draw on paper with cosmetics, make a collage from beauty adverts/product packaging, sculpt a statue out of false eyelashes – the choice is yours BUT there must be a clear link between three things: BEAUTY, PARIS and ART. Once you have created your BEAUTIFUL PARIS – I want to see it! You can upload a photograph to Flickr, email it to me, post it on your blog (if you have one) and link me to it in the comments, or shout at me on twitter – I don’t mind how you show me, but I need to be able to SEE IT! I will create a gallery of all the entries that will be viewable by everyone at the close of the competition (you must be OK with this). I will update this post with the names (twitter/facebook handles) of everyone whose entries I have received, this way – you can be sure that I have seen your entry. As for choosing a winner? Well, that comes down to me. I will simply choose my favourite. I’m not gonna cop out with a public vote/popularity contest and I’m hoping that there will be one STANDOUT entry so I don’t lose sleep over it. Does this sound good? Any concerns or questions? The competition will go live tonight from midnight and is only open to UK participants. 03: There is one prize to be won, a weekend 5* trip to Paris for you and a friend with £500 spending money. No cash alternatives. Travel within the UK is not included. 05: Lipglossiping.com is the sole promoter of this competition. 06: You may create more than one entry. 07: Contact details of the winner will be forwarded to the company handling the prize booking but will only be used in the context of this competition. 08: One winner will be selected by me (Lipglossiping.com) from all entries received. 09: Winners will be notified within 5 working days and will be expected to reply within 3 working days or risk forfeiting the prize. Such a good competition. Shame I am incredibly uncreative! It’s getting there but slightly stumped on the art part! Trust me to stumble on this the day after it has closed, haha. Good luck, all! Inexpensive Beauty Find: Move over Ellis, Barbara's in town!